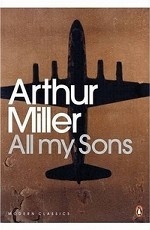 Аннотация к книге "All My Sons"
In Joe and Kate Keller`s family garden, an apple tree - a memorial to their son Larry, lost in the Second World War - has been torn down by a storm. But his loss is not the only part of the family`s past they can`t put behind them. Not everybody`s forgotten the court case that put Joe`s partner in jail, or the cracked engine heads his factory produced which caused it and dropped twenty-one pilots out of the sky!